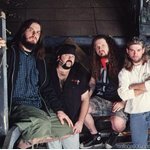 Although initially influenced by 1980s glam metal bands such as Kiss and Van Halen, Pantera's style would change by the late '80s, showing a greater influence from thrash metal acts such as Slayer, Exodus, Exhorder and Metallica, as well as traditional metal bands such as Black Sabbath and Judas Priest. Pantera subsequently became a key formulator of the post-thrash subgenre of "groove" metal. It would not be until nine years after forming that Pantera saw its first piece of commercial success in its 1990 major label debut, Cowboys from Hell. From there, Pantera became one of the most celebrated heavy metal bands of the 1990s. 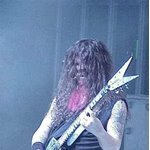 Despite the generally cold reception of the band's first four albums from the 1980s, critics have lauded Pantera's style thereafter; Jason Birchmeier of Allmusic.com states that "there was no greater metal band during the early to mid-'90s than Pantera." The band has received accolades such as ranking 45th on VH1's list of the "100 Greatest Artists of Hard Rock" and fifth on MTV's "Top 10 Greatest Heavy Metal Bands of All-Time." In 2001, the band went on hiatus and was never able to successfully reunite, with the Abbott brothers unable to communicate with Anselmo, who was immersed in several side-projects, chiefly Down and Superjoint Ritual. 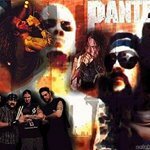 Pantera officially disbanded in 2003 and a war of words ensued, with Phil and Vinnie Paul trading inflammatory comments and blaming one another for the break-up of Pantera via the media. 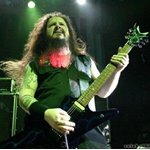 Any hope of the band members ever reconciling their differences and possibly reuniting was lost in 2004, when "Dimebag" Darrell was shot and killed on-stage at the Alrosa Villa in Columbus, Ohio by an obsessed Pantera fan while performing with him and his brother's new band, Damageplan.